High-Quality Taste: Churches who serve HOPE Coffee want to provide high-quality coffee to their guests, members, and staff. We’ve heard feedback from churches before that serving better coffee is a welcoming sign to their new guests. In fact, some churches even give small packets of coffee as a welcome gift for guests! Good church coffee is appreciated by guests and members alike. Gospel-Focused: Your church can make an eternal difference through your coffee purchases. HOPE Coffee gives 100% of their profits to support mission work in Honduras, Mexico, and Africa. In fact, we release a detailed impact report every year that describes how our profits are used to share the gospel. Affordable: High-quality coffee used to be very expensive, so many churches in the past were not able to make the switch away from cheap coffee. When churches are considering their coffee options, one of the biggest factors is the pricing. We definitely understand! As Christians, we are called to be good stewards of our resources. Thankfully, pricing for certain brands of specialty coffee have come down and many churches can afford to purchase high-quality coffee for regular usage. 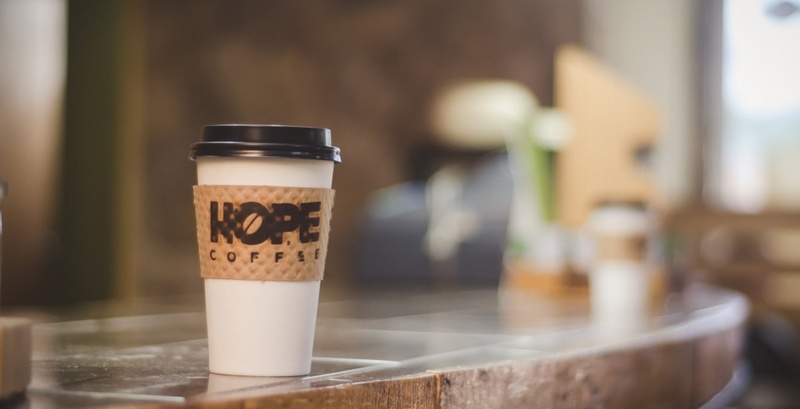 In fact, HOPE Coffee offers several levels of discounts through our HOPE Partner program to make our coffee even more affordable for churches. It’s Easy: Serving delicious church coffee should be easy. Our coffee bags come in standard sizes for most coffee brewers, so that you can either 1) measure out your own coffee amounts, or 2) simply tear and pour individual size packets. Not sure which size you need? Our team can help! Our goal is to make life simple for you and your coffee team. Church coffee should be easy to brew and serve every week. Why should you serve HOPE Coffee? Because people enjoy quality church coffee, and you can support mission work through your regular coffee purchases. If you’re interested in learning more about HOPE Coffee, you can request more information today.